After weeks have passed since their revolutionary Hunger Games together, Katniss and Peeta are in the midst of enjoying and celebrating their financial success and fame when Katniss receives a surprise visit from President Snow. Smelling nauseatingly of dead bodies and roses, President Snow informs Katniss that he is on to her defying scheme. Under direct orders and planning on behalf of President Snow, both Katniss and Peeta are thrust back into a celebratory Hunger Games; a "special edition" Hunger Games that features all the previous surviving and ruthless Hunger Games' winners from each District. 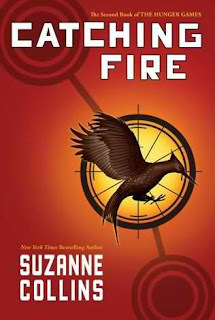 With a new set of rules and stakes in this year's Hunger Games, Katniss and Peeta must once again face and challenge their relationship in order to survive. Are they friends, foes, or lovers? What must be done to save their District, their friends and family, and each other? 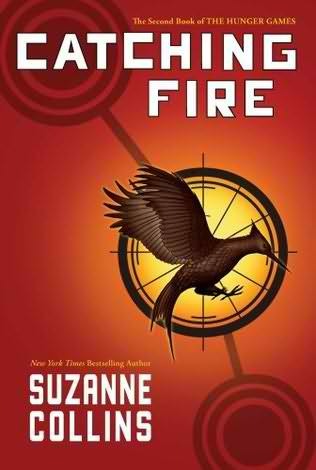 Suzanne Collins has created an unforgettable trilogy that both teens and adults will enjoy. The story line, plot, and characters are brutal, and so highly unforgettable, that you'll ponder on government-related conspiracy theories and the injustices of the world for weeks afterward. Collins has an incredible imagination; taking the ugliest facets of a government and weaving them all into a creative and beautifully written work of fiction that will leave you salivating for the 3rd novel in the Hunger Games trilogy; entitled Mockingjay. If you read this review, do yourself a favor and don't miss out on reading every book in this series. Lovers of fiction, fantasy, and science fiction will devour this novel, regardless if you are an adult or a teenager.